How does The Discerning Traveller make your self-led hiking tour so special? There’s no getting around it – you’re on a hiking tour. You alone must walk from A to B each day and some of those days may be hard work for any number of reasons, for example, adverse weather (too hot, too cold or too wet! ), the terrain or simply the distance to walk. However, you know what you’re letting yourself in for – you love walking and you love the outdoors. You enjoy visiting new places; towns, villages, ancient monuments, spectacular coastlines, and all steeped in history…and isn’t it a great feeling knowing that you have arrived there under your own steam? What you need is for someone to take the hard work out of organising your tour, leaving you to concentrate on enjoying a good hearty breakfast, well-planned daily routes and a comfortable room at the end of the day…and that’s where The Discerning Traveller will make your hiking tour that little bit more special! What's special about The Discerning Traveller hiking routes? 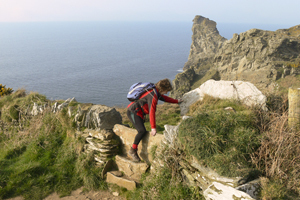 Our Land’s End & St Ives tour takes in what we regard as the most scenic part of the Cornwall Coast Path National Trail : the Land’s End peninsula (or ‘West Penwith’, as the Cornish call it). Similarly, our North Pembrokeshire Coast tour takes in the best part (in our view) of the highly scenic Pembrokeshire Coast Path National Trail: the north coast between Fishguard and St David’s, with its distinctive rocky summits overlooking the sea: Carn Ingli, Garn Fawr, Pen Berri and Carn Llidi. Both of our Pembrokeshire routes include St. David’s. Of course, if you really want to hike a National or named long distance trail from end to end we can always refer you to one of our competitors! In addition to following the finest part of the Dorset Coast Path National Trail (the spectacular cliffs and coves of Purbeck), our Dorset Coast Path & Purbeck Ridgeway tour also includes our own hike for a day and a half along the not-to-be-missed Purbeck Ridgeway trail with great views on either side of the ridge. Our 8-night Cotswold Villages tour includes part of the ‘Cotswold Way’ National Trail and part of the ‘Heart of England Way’ Named Trail. To this great combination we add in our own hike (of 1.5 days duration) along the valley (and often along the banks) of the beautiful River Windrush between Burford and Naunton. Actual ‘Wind in the Willows’ country! In Cornwall again, our Land’s End & St Ives tour includes the option of one or two whole days hiking on an inland route parallel to the coast path, following the ‘Tinners’ Way’, an ancient trail lined with prehistoric monuments such as Neolithic stone circles, standing stones, burial chambers, and an iron-age hill fort with a neighbouring iron-age village. All our tours take in detours to points of interest, such as viewpoints, archaeological monuments, houses, castles and gardens. In the English Lake District and, with the exception of parts of Offa’s Dyke Path, in Shropshire, there are no National Trails, although there are local named trails such as the Shropshire Way and the Cumbria Way. In these areas the routes of our tours are entirely our own creation, based on our own research and on our familiarity, acquired over many years, with the local public footpaths and rights of way. What's special about The Discerning Traveller route notes and directions? Current opening times (days and hours, with current entry fees) of castles, houses and gardens which are open to the public along the trail. 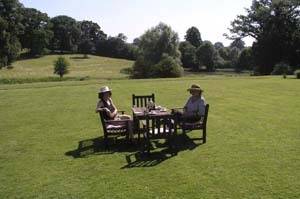 Suggestions on where to obtain picnic lunch materials, or to find a wayside inn where you can buy lunch, or a ‘tearoom’ for afternoon tea. Good points along the trail to stop for lunch or a trail snack, often with a view or close to water. Locations of the best viewpoints and what can be seen from them. Where a good viewpoint lies a short distance off a trail, we provide directions. Where there are any public toilets along the way (regrettably not yet as many as there might be); relatively well-equipped in this respect is the coastal path on our Lands End and St Ives tour. Where to find a public phone in case you want to cut short a day’s hike and phone for a taxi. Specific directions for finding each night’s accommodation at the end of the day’s hike. 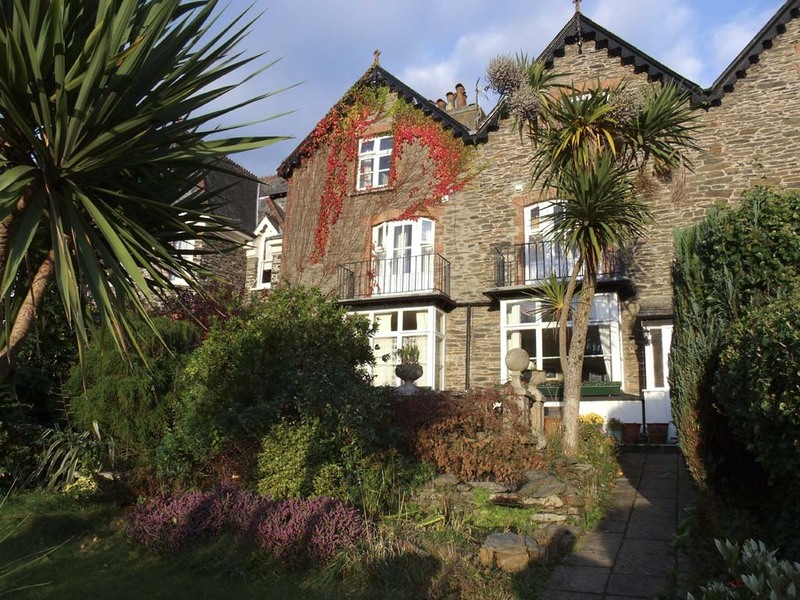 What's special about the accommodation used by The Discerning Traveller? Before we advertise a tour we carry out a thorough survey of the accommodation in each overnight stop location (town, village, or hamlet) along the trail. 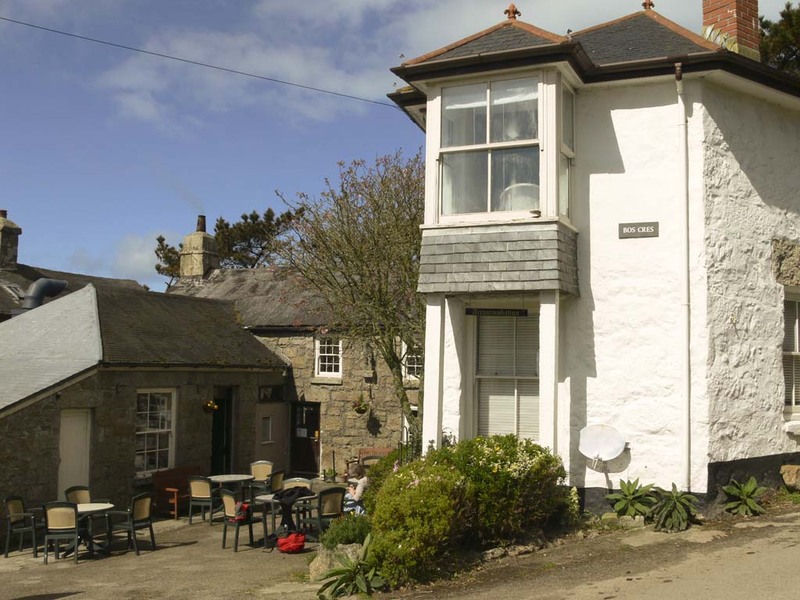 On the basis of the survey we select those establishments (hotel, inn, guest house, farmhouse or ‘B&B’) we will use for our customers – normally more than one establishment for each overnight stop, to allow for occasions when our first choice is fully booked. Our preferred accommodations are generally small; commonly with only one, two or three bedrooms to let, very rarely as many as ten rooms. We find that such smaller establishments tend to be more welcoming and friendly than hotels – an important consideration for our self-led customers, who are unescorted and therefore ‘on their own’. Ideally, we like our customers to be treated as somewhere between ‘family friends’ and ‘hotel guests’. But part of the charm of this type of holiday is the variety of the welcomes one receives! En suite/private facilities. We select our preferred accommodations primarily on the basis of the location and character of the building, and on the friendliness and helpfulness of the management. Because some of the very best of our accommodations (judged on the above criteria) nonetheless lack rooms with private or en-suite bathroom facilities, we do not insist on all the rooms we use having such facilities. In practice many do have them, and on most of our tours we can for an additional fee (surcharge) arrange en suite or private facilities throughout the tour. If facilities are shared the maximum number of rooms sharing one bathroom is 3, i.e. 2 rooms in addition to your own room. If your facilities on a particular night(s) will be shared this will be indicated on your Tour Schedule. What all this adds up to is that although, for instance on our Cornwall (Lands End) or North Pembrokeshire Coast tours, we can, if requested, provide private facilities throughout the tour, we do not consider this to be necessarily the best option or the best value. 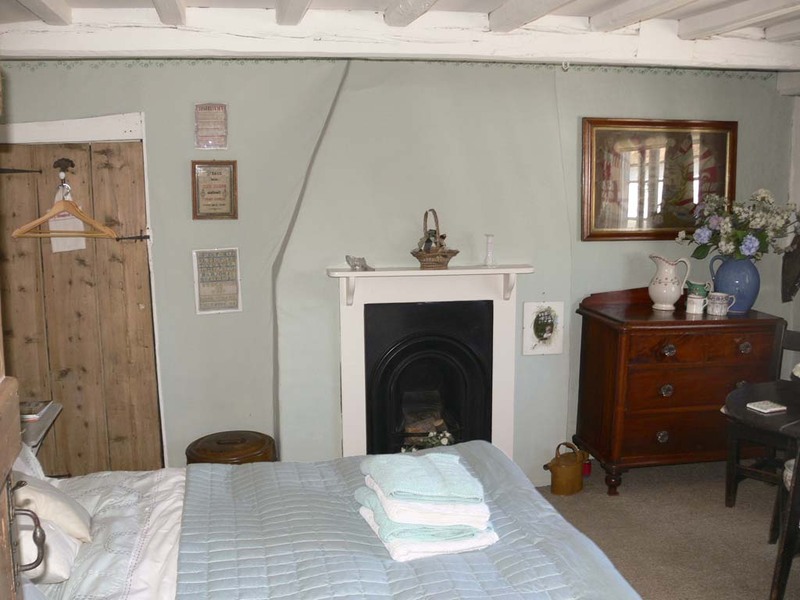 It goes without saying that we only select accommodation which is scrupulously clean and in good order. If standards fall, or if the accommodation provided is not as promised we drop the establishment from our list very promptly. Our best guides in this are our own customers whom we rely on to inform us if they notice any slip in standards that cannot be rectified on the spot. On rare occasions all our preferred accommodation in a particular locality may be fully booked for the night you would be staying there. If there is alternative accommodation available nearby which we have not yet had an opportunity to visit or inspect, but which we understand to be of suitable standard, we will before confirming the booking ask you whether you prefer us to book this alternative accommodation or to reschedule the tour. If we cannot obtain the requested accommodation we refund your deposit payment in full.